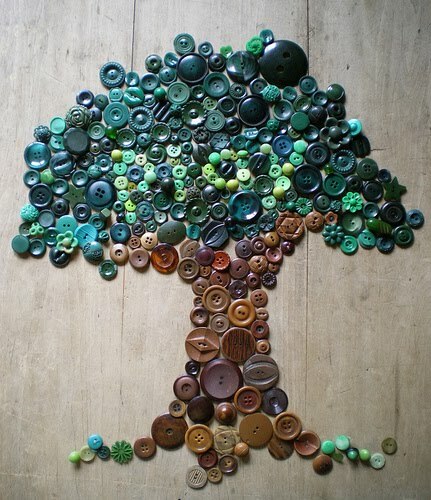 15 Cool Buttons Inspired Products and Designs - Part 2. Collection of cool reuse of buttons and cool use of button inspired products and designs from all over the world. Button Vase: Create a gorgeous vase by adding vintage looking buttons to it. 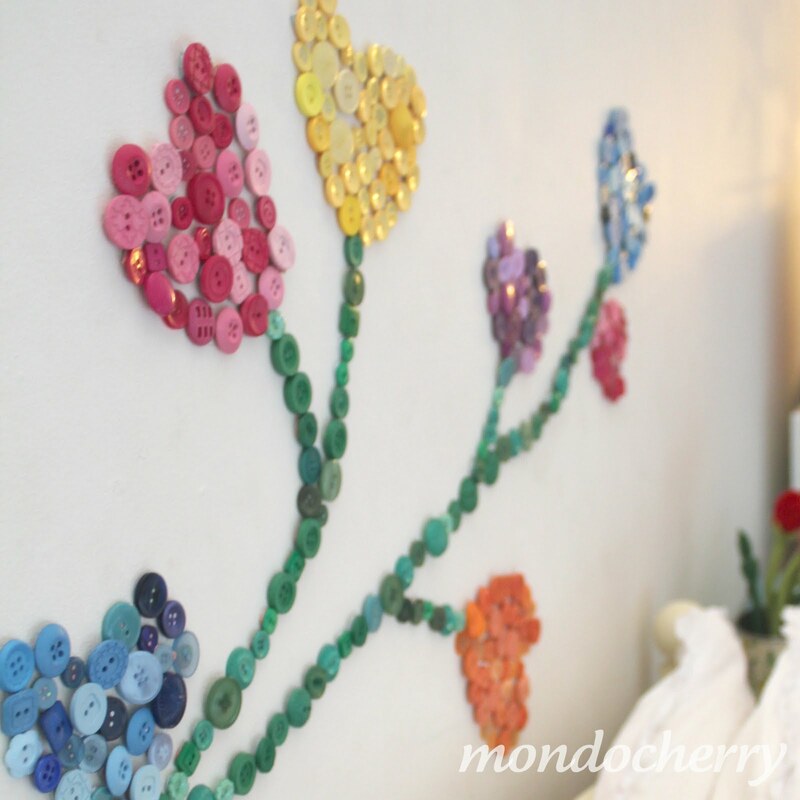 Button Wall Design: Create a beautiful wall design by lightly sketching a pattern on the wall with a pencil and then simply blu-tack or adhesive on the back of the buttons to stick them to the wall. 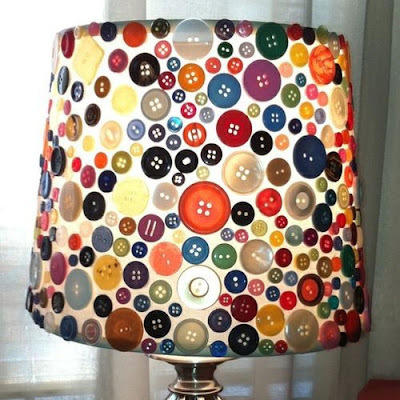 Decorative Button Table Lamp: Use multi colored buttons of various sizes and shapes to create a beautiful table lamp. 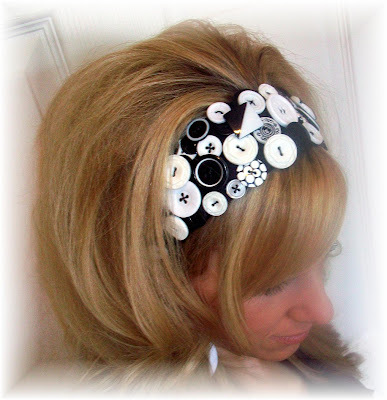 Button Headband: Doesn't it look cool; make one yourself, just follow the instructions. 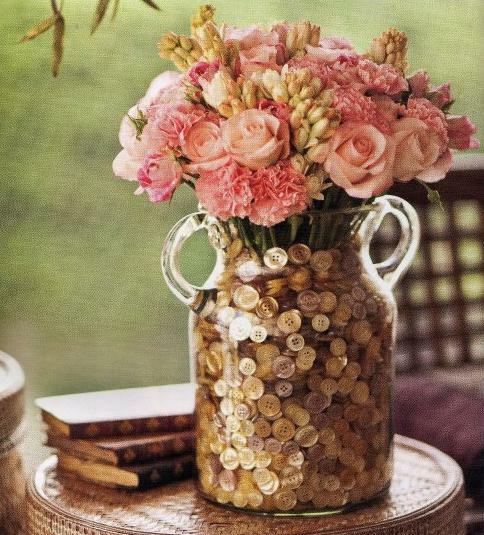 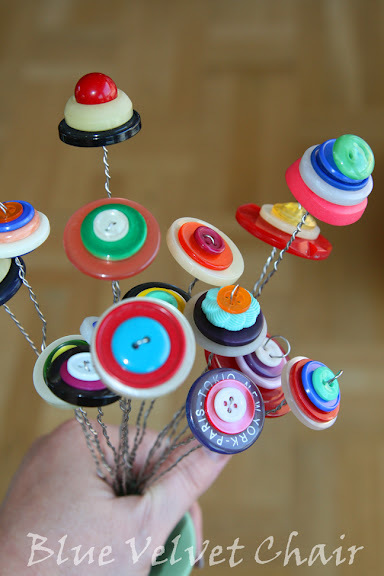 Button Flowers: These cute button flowers would look perfect in any vase. 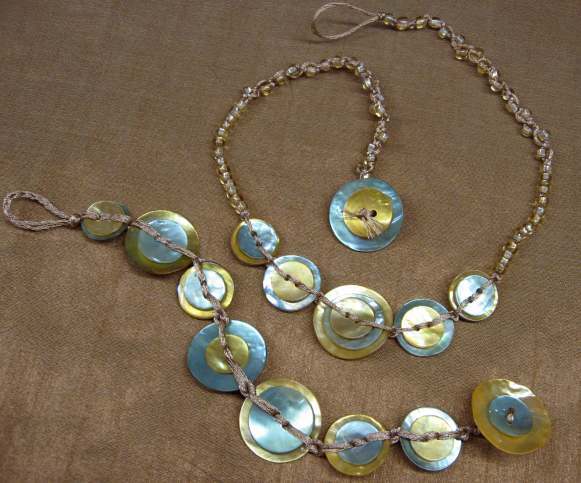 Buttons Necklace: Cute necklace created using green and yellow buttons. 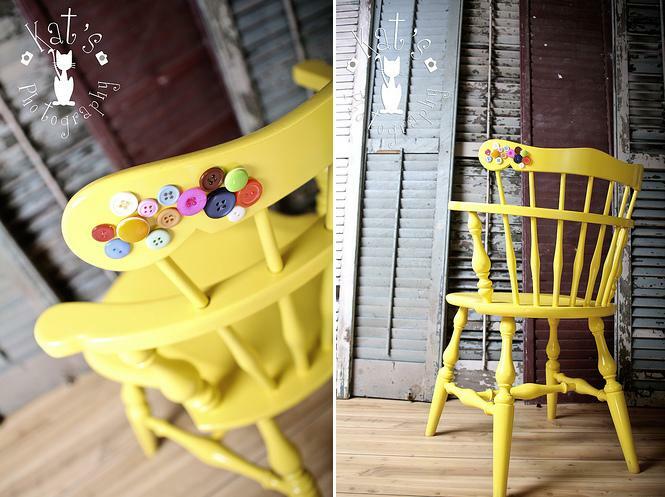 Country Button Chair: Makeover of a country chair with added attractions are 14 antique buttons to create this fun accent on the back. 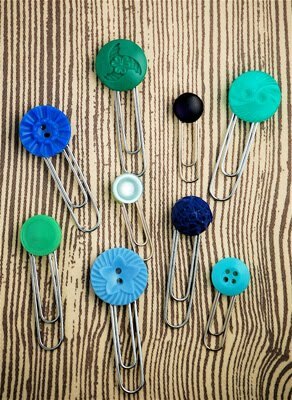 Button Paperclips: These button clips can be used as paperclips while the large ones make cute bookmarks as well. 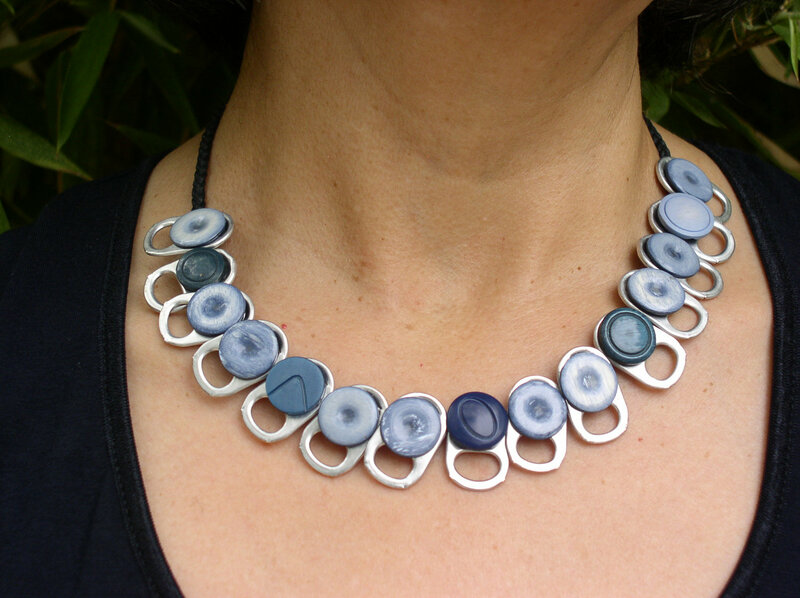 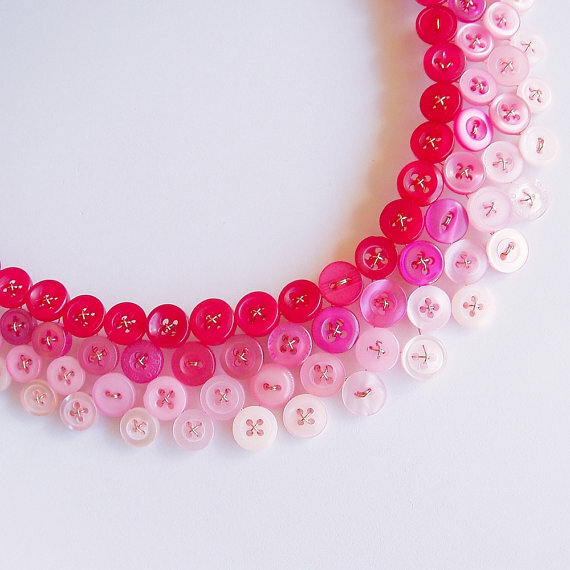 Button Necklace: To make this cute button necklace just follow the video, it gives you the materials list and the step-by-step how-to. 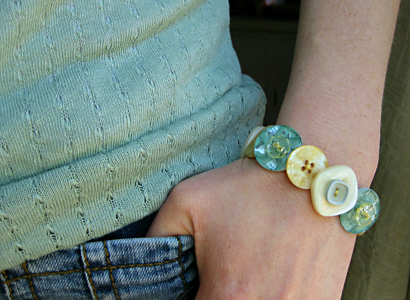 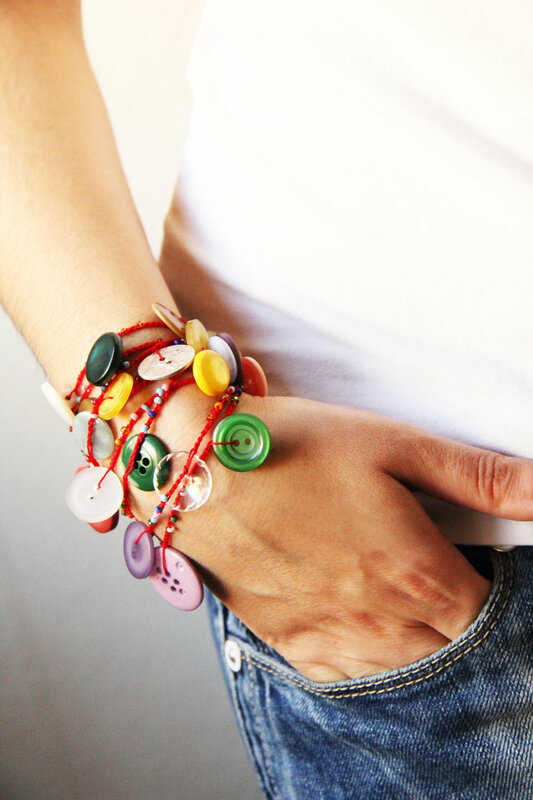 Button Bracelets: To create this cute bracelet all you need is elastic and multi colored buttons of various sizes and shapes. 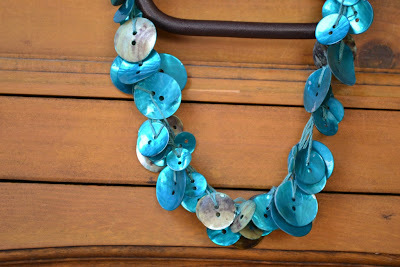 Button Necklace: This necklace is created with buttons that are a mixture of new and vintage, with many different styles and shades. 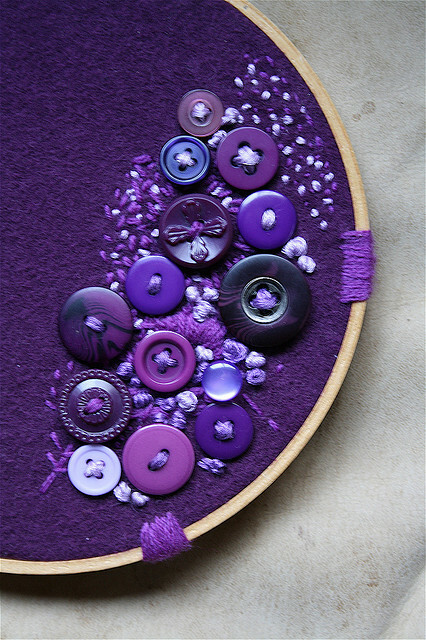 Don't miss to check out "Cool Buttons Inspired Products and Designs - Part: 1| 2."